Many Seniors today are using a Long Beach reverse mortgage to enhance their retirement. The Home Equity Conversion Mortgage or (HECM) is the government insured mortgage provided by private lenders and insured by the Federal Housing Administration. The best way to find out if a Long Beach reverse mortgage is right for you is to begin with education. 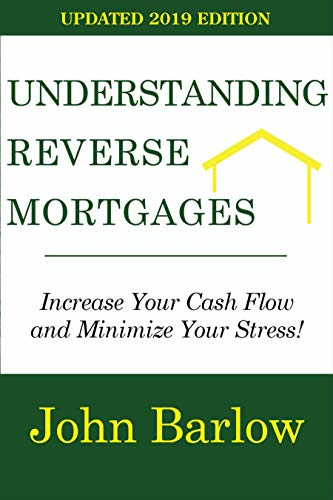 Our President, John Barlow, has written an informative book called “Understanding Reverse Mortgages”. He discusses all of the ins and outs of this product and shows three examples of clients using a Long Beach reverse mortgage who have different situations. You can find the book here on Amazon, www.amazon.com/author/jbarlow. The next phase is to give us a call to see what your loan proceeds will be and which advantages apply to you. The loan amount will be determined by the appraised value or max claim amount, age of the youngest borrower or a non-borrowing spouse, and the expected interest rate. Sound Financial Mortgage LLC believes in supplying our customers with a solid education, outstanding service, and a wide variety of product options to meet your needs. We believe in honesty and integrity and we will always work to maintain your trust. If you are interested in learning more about Long Beach reverse mortgages, we would be honored if you would consider Sound Financial Mortgage LLC as one of your Long Beach reverse mortgage brokers. Long Beach, California is located on the Pacific Coast of the US in Los Angeles County. The community is the 7th largest community in California and the 36th largest community in the US. The population of Long beach was 462,257 people according to the census that was taken in 2010. Long Beach is also the 2nd largest community within the greater Los Angeles metropolitan area, after Los Angeles, and a principal community of the Long Beach/Santa Ana/Los Angeles metropolitan region. In the US, Long Beach has been a dominant center for maritime activities. In the US, one of the world's largest shipping ports is the Long Beach Port as well as being the 2nd busiest container port. The community also maintains a large oil industry that has oil positioned both offshore and underground. The manufacturing sectors include those in home furnishings, audiovisual and electronic equipment, and automobile and aircraft parts. Long Beach is also home to headquarters for corporations that include the Polar Air Cargo, Scan Health Plan, Molina Healthcare, and Epson America. Although the two communities border each other for many miles on the southwestern portion of Long beach, downtown Long Beach is located about 22 miles south of Downtown Los Angeles. On its southeastern edge, Long Beach borders Orange County. The Rancho Los Nietos, which had been granted by King Carlos III of the Spanish Empire in 1784, to a Spanish soldier named Manuel Nieto, was subdivided into the Rancho Los Alamitos and the Rancho Los Cerritos. The center of Signal hill was the boundary between the two ranchos. Originally, a part of western Long Beach was a portion of the Rancho San Pedro, and was in dispute for years, as the result of the flooding that changed the boundary of the Los Angeles River between the ranchos owned by Manuel Nieto and Juan Jose Dominguez. In 1823, a Yankee arrived in California named John Temple, who purchased Rancho Los Cerritos in 1843. It wasn't long before he constructed what is currently known as the Los Cerritos Ranch House, which was an adobe structure that is a national Historic landmark and is still standing. Mr. Temple prospered after creating a flourishing cattle ranch and became the wealthiest man in Los Angeles County. Both his ranch house and Mr. Temple had important roles, locally, in the Mexican/American War. For the sum of $20,000 the Northern Sheep raising company known as Flint, Bixby, and Company purchased the rancho los Cerritos from Mr. Temple in 1866. In order to manage Rancho los Cerritos, the company selected Llewellyn's brother Jotham Bixby, who is considered the founder of Long Beach, to manage their southern ranch. Mr. Bixby bought into the land three years later, and eventually formed the Bixby Land Company. A man named William Willmore purchased some 4,000 acres from Mr. Bixby in 1880 because he wanted to create a farming a farming community, known as Willmore City. The Los Angeles syndicate of the Long Beach Water and Land Company bought Mr. Willmore out after all of his efforts failed. The community was renamed to the community to Long Beach. In 1888, the community of Long Beach was incorporated as a city. Perhaps even more influential in the development of the community was the cousin of Mr. Bixby named John Bixby. After Mr. John Bixby then leased the property at Rancho Los Alamitos after first working for his cousins at Los Cerritos, and then put together a group consisting of several influential leaders that included the remaining Bixby clan as well as himself to buy the rancho. Mr. John Bixby started the development of the land near the oceanfront close to the beautiful bluffs in Long beach in addition to bringing innovative farming methods to the Alamitos. Mr. John Bixby laid out the parks and named the streets of this new community under the name of the Alamitos Land Company. The community grew as a port, Navy, oil, and seaside community. The Long Beach Port is one of the world's largest shipping ports. With the development of the aerospace and other high tech industries, as well as tourism in this beautiful region, Long Beach has expanded. One of the most famous people to come from Long Beach is Tiger Woods. Tiger Woods is a professional American golfer whose accomplishments so far in golf rank him as one of the most successful golfers of all time. Tiger Woods is currently ranked No 1 in the World and in 2006, was the highest paid professional athlete. When he was only 31 yes old, Tiger woods has more career wins on the PGA Tour that any other active golfer to date and has won his 13th major professional golf championship. Tiger Woods is the only active golfer in the top ten in career PGA Tour wins and major career wins.